By John Dobbyn. Published by Thomson West. 2003. 4th edition. By Jeffrey E. Thomas. Published by Lexis Nexis Matthew Bender. 2007. This title provides guidance on each phase of an insurance coverage dispute. 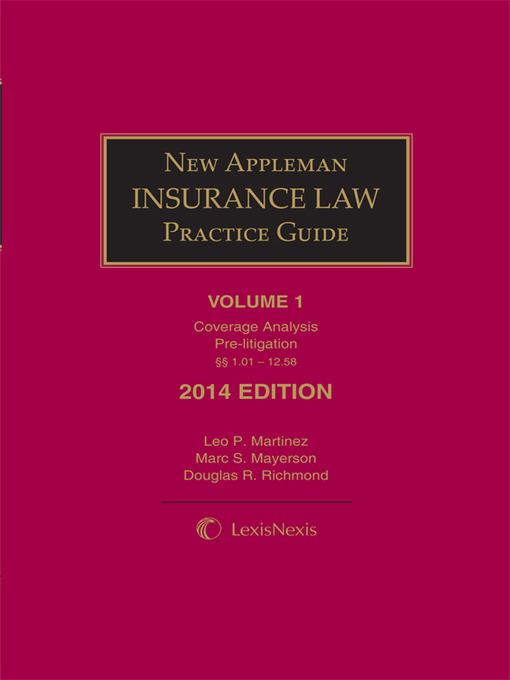 The task-based format guides one through how to analyze an insurance policy, determine the merits of a coverage dispute and then whether and how to successfully arbitrate, mediate, settle, sue, or defend. 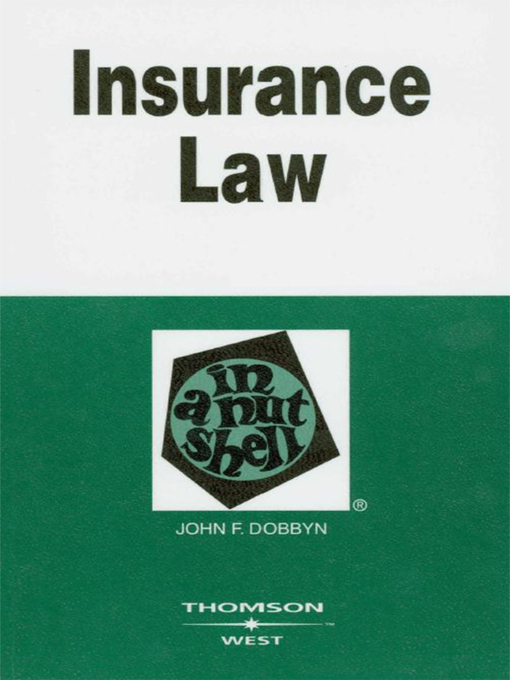 It also explains pertinent procedural rules and strategies as well as the substantive law applicable to all major insurance lines, including new analyses of intellectual property insurance, cyber insurance and personal and advertising injury coverage. By Jeffrey Thomas. Published by Lexis Nexis Matthew Bender. 2009. Law Library edition. 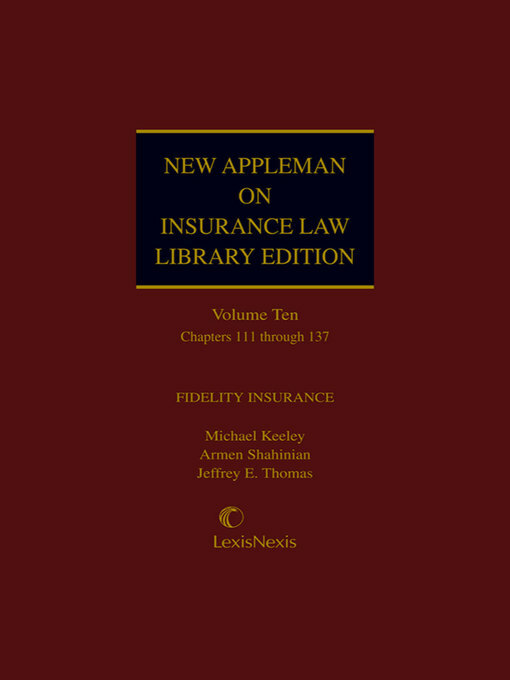 Written by the leading scholars and practitioners of insurance law and frequently cited by courts, this newest edition is a comprehensive source for understanding both the basics and the nuances of insurance law. It covers all aspects of insurance law, including personal insurance, casualty insurance, state funds, no fault insurance, commercial insurance bonds and liquidation. Leading cases from all jurisdictions are included. It also analyzes each of the principal groupings of insurance contracts: personal, property, casualty, and commercial bonds, including matters common to all policies and it discusses many new types of insurance, such as franchise, credit life and disability, uninsured motorist and no-fault.